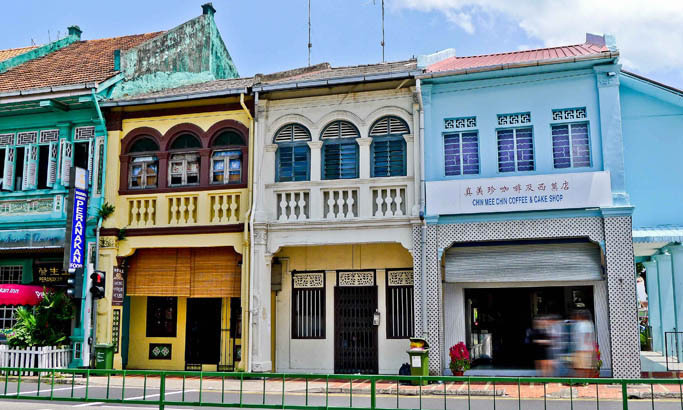 Joo Chiat Road is a potpourri of shops offering local and regional delicacies, from old school to artisan bakeries, galleries and museums of sorts. The area exudes a rustic charming quality with many discoveries to make for those adventurous enough to explore. Also known as a food haven, you will find some of the most popular eateries in Singapore located in the neighbourhood. 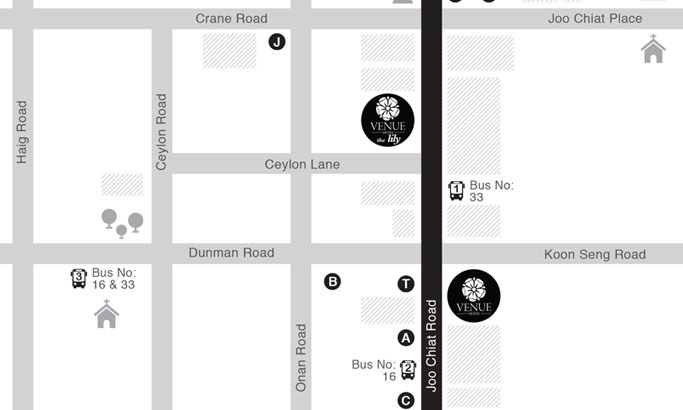 Food map for eateries near and around Venue Hotel The Lily. Includes Halal & Non-Halal delicacies. The site is fronted by a 24-hour Old Hong Kong teahouse, located in a conserved police station facing East Coast Road. 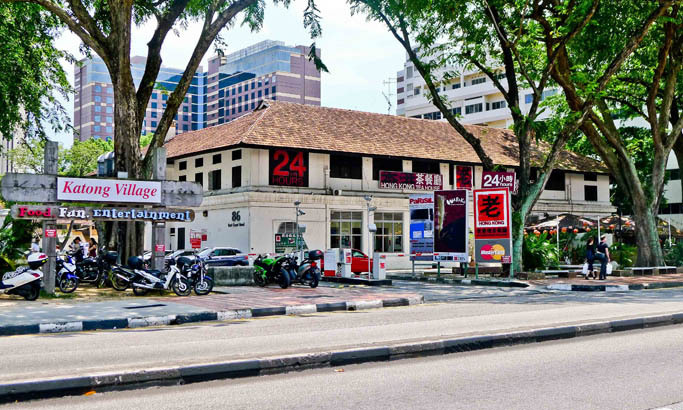 There are 11 restaurants located at Katong Village. 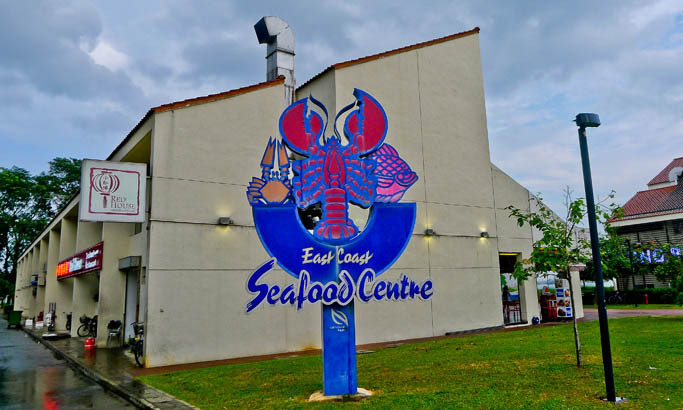 You will find many options for fresh seafood cooked in local style at the East Coast Seafood Centre. Among them are the Jumbo Seafood, Long Beach Seafood Restaurant, Red Horse, No Signboard Seafood Restaurant, Tawandang Microbrewery, Seafood Kitchen and Crystal Jade Seafood BBQ. 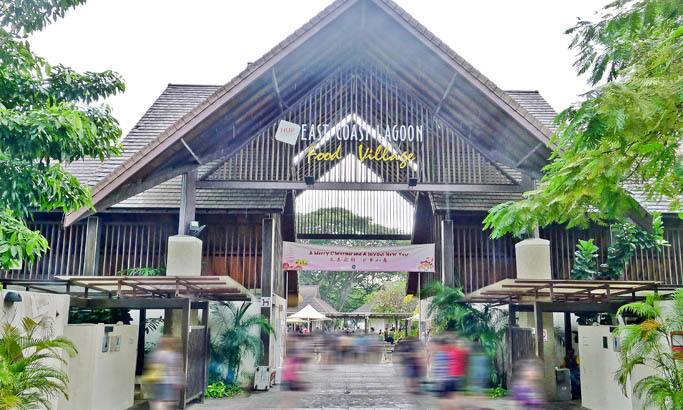 The East Coast Lagoon Food Village is a hawker centre with a rustic "kampong" (or Malay village) design. A good choice, especially in the evening, to have a meal and enjoy the outdoor ambience. 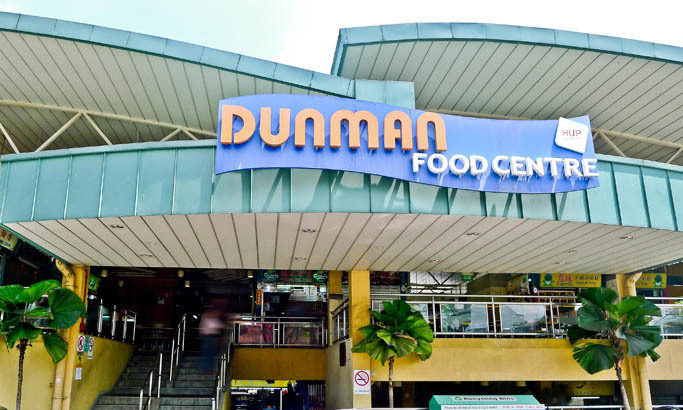 For a local hawker fare, head down to the Dunman Food Centre. This beloved coffee shop encompasses a bakery where hot kaya (a traditional jam made from eggs, sugar and coconut juice) buns and delightful sugar rolls are sold freshly baked. One of the last remaining Hainanese coffee shops of old, Chin Mee Chin remains popular and still retains an authentic 1950s ambience. The rich strong coffee is the perfect accompaniment to the atmosphere and taste of a piping hot traditional breakfast here.